Time to choose: move, remodel, or build? When making a decision about your future home, consider these following points before you pack up or budget a lot of money. Do you like your neighbors? It’ll be hard to predict how your new neighbors will be, and having bad neighbors is never fun and can cause problems. If you like your current neighbors, that’s a good thing and can be invaluable when you’re out of town or as friends to your children as they grow up. Can you find a new home that you’ll like? Finding a new home that has every single feature you want and custom designs is nearly impossible. However, if you happen to find a home that meets all your needs and you can afford it, then buy that and avoid the challenges of building or remodeling. If you buy a fixer-upper, can you afford the improvements you want to make? Consult a design-build expert for accurate advice before purchasing your home. Building a new custom home can cost $350 to $600 or more per square foot, plus another 15-20 percent for design or permitting fees. 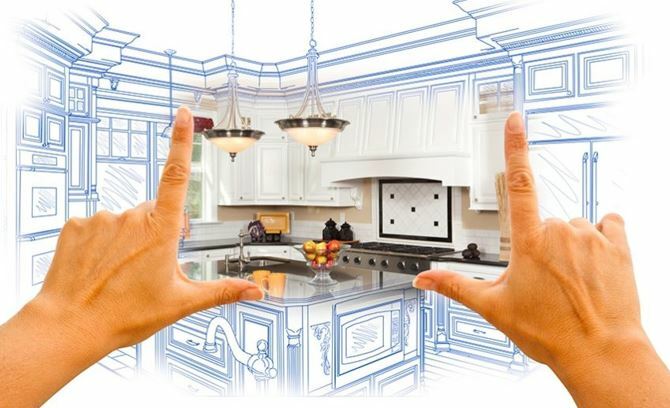 Remodeling can cost $300 to $500 or more per square foot, plus design and permitting fees. Oftentimes clients figure they are adding 500 square feet and guess at $400 per square foot for a total of $200,000. They ignore the rest of the 1,500 square feet they are remodeling and their budget can be way off. Consulting with a professional is key to make sure you have your ideas in line with your budget. Make sure you evaluate all your options and the factors affecting them before you make your final call. Remodeling, moving, or building can be a frustrating experience even for those who are very flexible and have the budget to accommodate changes in plans. Make sure you consult a design-build expert and your loved ones before you make your final call. Once you start work on one of the three options, you can’t really go back. Whatever path you end up taking, just remember that all the work you put in will all be worth it in the end.